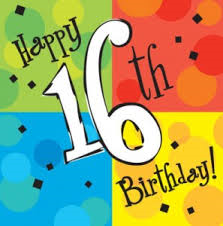 Today we would be wishing Joshua a Happy Sweet 16th Birthday! It is hard to think that it was 3 years ago that we celebrated his birthday here with him. I often wonder who he’d be today. With school starting back up for the year in a couple of weeks we hope that you share the knowledge of the choking game that we wish we would have had. It is real and happening around the world with little to no knowledge of the consequences. We hope that you would share Joshua’s story and educate your children so that it doesn’t happen to you. Happy Birthday Joshua, we love and miss you dearly!